Africans, the Nigerian author announced more than 50 years ago, had their own history, their own celebrities and reputations. Achebe, the internationally celebrated Nigerian author, statesman and dissident, who died at age 82 after a brief illness, continued for decades to rewrite and reclaim the history of his native country. Achebe lived through and helped define revolutionary change in Nigeria, from independence to dictatorship to the disastrous war between Nigeria and the breakaway country of Biafra in the late 1960s. 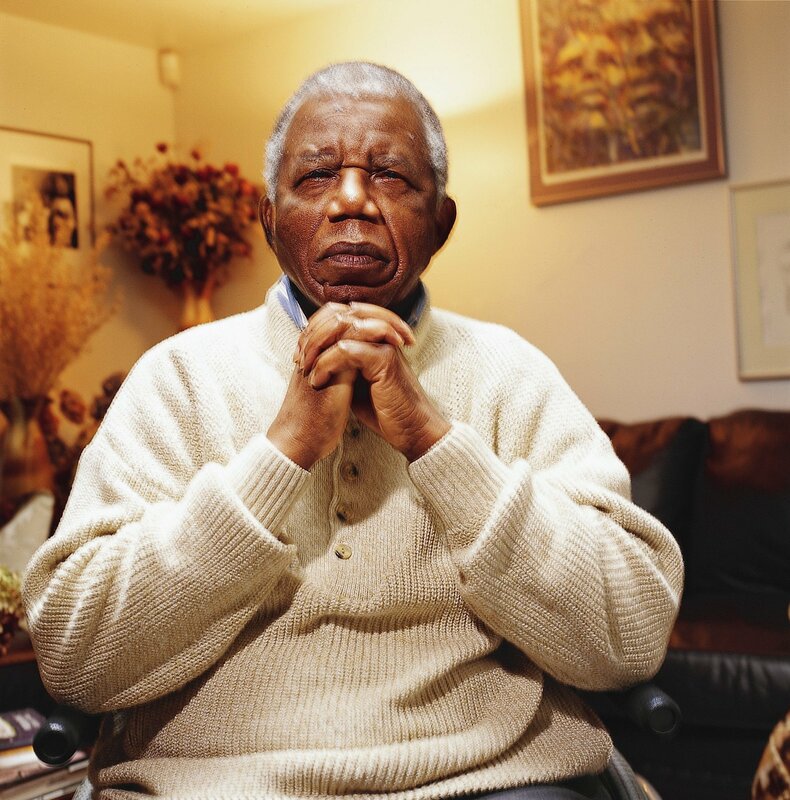 Craig Ruttle, File/Associated Press – FILE – Chinua Achebe, Nigerian-born novelist and poet poses his life at his home on the campus of Bard College in Annandale-on-Hudson, New York where he is a professor in this Jan. 22, 2008 file photo. Achebe, who wrote the classic “Things Fall Apart,” has died. He was 82. Achebe’s publisher confirmed his death Friday, March 22, 2013. He knew both the prestige of serving on government commissions and the fear of being declared an enemy of the state. He spent much of his adult life in the United States, but never stopped calling for democracy in Nigeria or resisting literary honors from a government he refused to accept. Even in traffic today in Lagos, Nigeria’s largest city, hawkers sell pirated copies of his recent civil war memoir. “What has consistently escaped most Nigerians in this entire travesty is the fact that mediocrity destroys the very fabric of a country as surely as a war — ushering in all sorts of banality, ineptitude, corruption and debauchery,” wrote Achebe, whose death was confirmed Friday by his literary agent, Andrew Wylie. His public life began in his mid-20s. He was a resident of London when he completed his handwritten manuscript for “Things Fall Apart,” a short novel about a Nigerian tribesman’s downfall at the hands of British colonialists. Turned down by several publishers, the book was finally accepted by Heinemann and released in 1958 with a first printing of 2,000. Its initial review in The New York Times ran less than 500 words, but the novel soon became among the most important books of the 20th century, a universally acknowledged starting point for postcolonial, indigenous African fiction, the prophetic union of British letters and African oral culture. “Things Fall Apart” has sold more than 8 million copies worldwide and has been translated into more than 50 languages. Achebe also was a forceful critic of Western literature about Africa, especially Joseph Conrad’s “Heart of Darkness,” standard reading for millions, but in Achebe’s opinion, a defining example of how even a great Western mind could reduce a foreign civilization to barbarism and menace. His first novel was intended as a trilogy and the author continued its story in “A Man of the People” and “Arrow of God.” He also wrote short stories, poems, children’s stories and a political satire, “The Anthills of Savannah,” a 1987 release that was the last full-length fiction to come out in his lifetime. Achebe, who used a wheelchair in his later years, would cite his physical problems and displacement from home as stifling to his imaginative powers. Achebe never did win the Nobel Prize, which many believed he deserved, but in 2007 he did receive the Man Booker International Prize, a $120,000 honor for lifetime achievement. Achebe, paralyzed from the waist down since a 1990 auto accident, lived for years in a cottage built for him on the campus of Bard College, a leading liberal arts school north of New York City where he was a faculty member. He joined Brown University in 2009 as a professor of languages and literature. For much of his life, he had a sense that he was a person of special gifts who was part of an historic generation. Achebe was so avid a reader as a young man that his nickname was “Dictionary.” At Government College, Umuahia, he read Shakespeare, Dickens, Robert Louis Stevenson and Jonathan Swift among others. He placed his name alongside an extraordinary range of alumni — government and artistic leaders from Jaja Wachukwa, a future ambassador to the United Nations; to future Nobel laureate Wole Soyinka; Achebe’s future wife (and mother of their four children) Christine Okoli; and the poet Christopher Okigbo, a close friend of Achebe’s who was killed during the Biafra war. 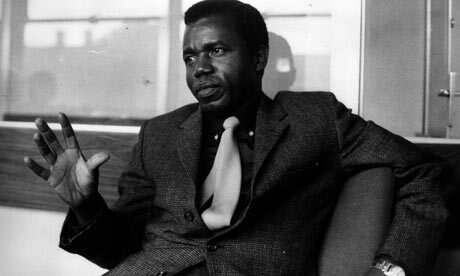 In mockery of all the Western books about Africa, Achebe ended “Things Fall Apart” with a colonial official observing Okonkwo’s fate and imagining the book he will write: “The Pacification of the Primitive Tribes of the Lower Niger.” Achebe’s novel was the opening of a long argument on his country’s behalf. Achebe could be just as critical of his own country. The novels “A Man of the People” and “No Longer at Ease” were stories of corruption and collapse that anticipated the Nigerian civil war of 1967-70 and the years of mismanagement that followed. He not only supported Biafra’s independence, but was a government envoy and a member of a committee that was to write up the new and short-lived country’s constitution. He would flee from Nigeria and return many times and twice refused the country’s second-highest award, the Commander of the Order of the Federal Republic, over the lawlessness in his home state of Anambra. “I had a strong belief that we would outgrow our shortcomings under leaders committed to uniting our diverse peoples,” Achebe warned. Besides his own writing, Achebe served for years as editor of Heinemann’s “African Writer Series,” which published works by Nadine Gordimer, Stephen Biko and others. He also edited numerous anthologies of African stories, poems and essays. In “There Was a Country,” he considered the role of the modern African writer.